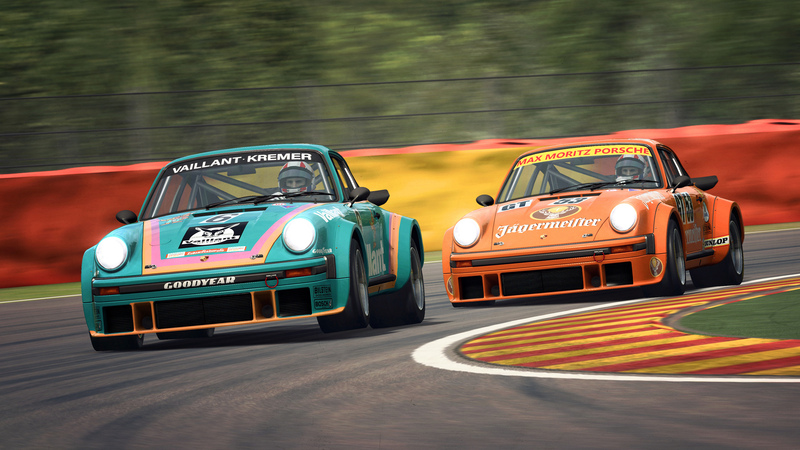 Sector3 Studios deployed the December Patch for their RaceRoom Racing Experience and proudly announced that they will bring three iconic Porsche Motorsport models to the R3E racing simulator starting today. The December patch introduces the famous Porsche 934 RSR as the first model, with the other two following early next year. 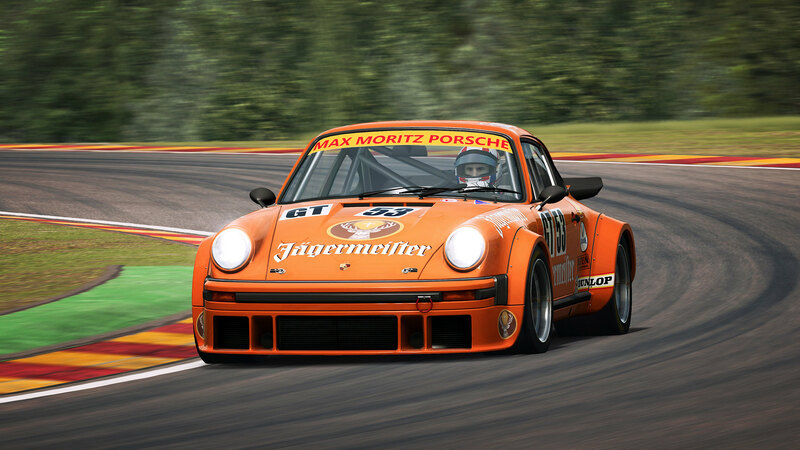 The 934 is truly a classic and best remembered in its iconic orange/yellow Max Moritz Jägermeister livery. I am sure that many somewhat older sim racers will have owned the popular Tamiya diecast model which became a legend on its own. The Porsche 934 RSR with its 480+ HP turbo-charged engine was introduced for the 1976 racing season, to compete in the Group 4 regulated series, which meant that at least 400 models had to be produced, and so it is one of the last examples of a road-legal racecar. 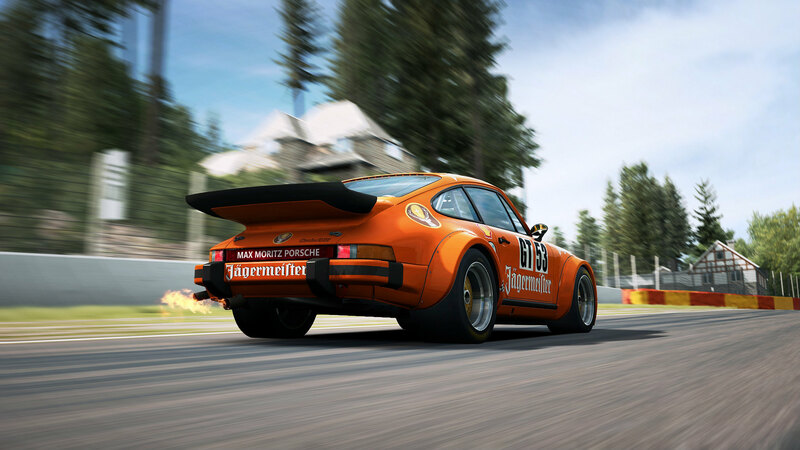 With many championship wins and a 4th overall finish in the 1979 Le Mans 24 Hours, the 934 is a true racing legend. Besides the usual fixes and improvements, the December patch also includes the long-awaited AI Selector for the single-player mode. 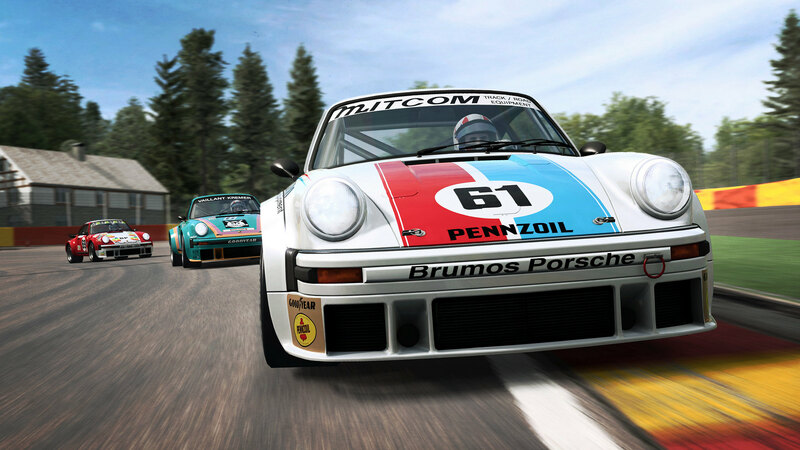 Players now have control over the selection of cars they will race against on the track, down to the livery the AI will use. Sector3 Studios also improved the AI behavior to allow them to manage the slower traffic in multiclass conditions. 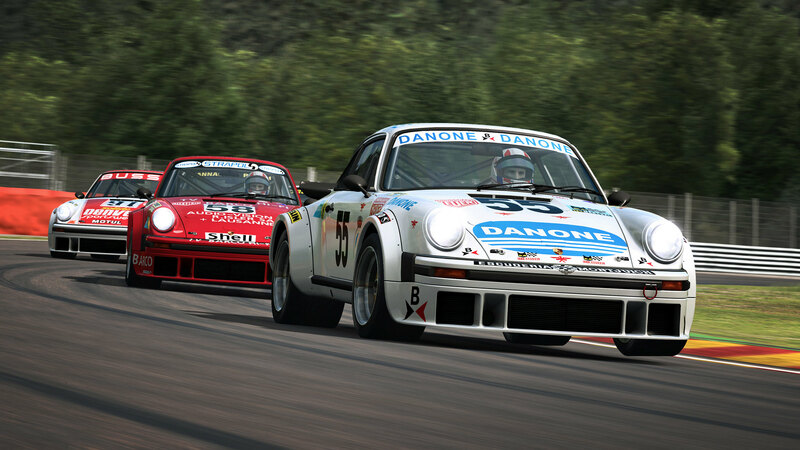 The Porsche 934 RSR is available in the RaceRoom store for €3.98. 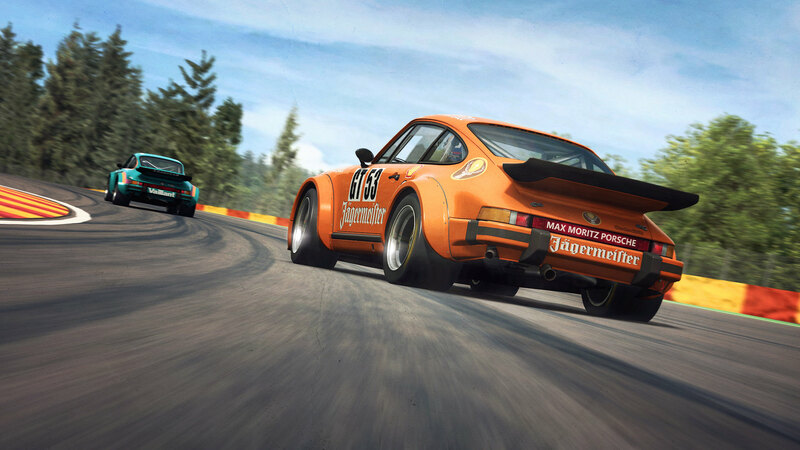 The Porsche 934 can be dressed up with 37 awesome liveries. 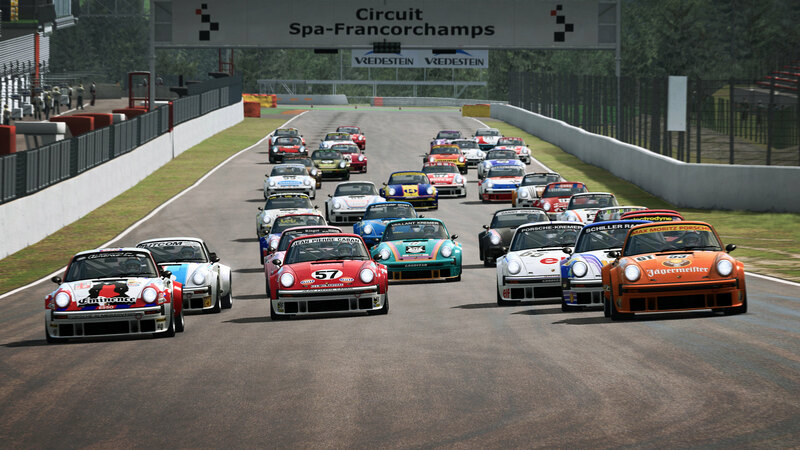 The full livery pack is on sale for 7,77€, while individual liveries are available at 0.29€ a piece. Added AI Selector to Single Player event menus. Allows to pick and choose what AI’s will drive, down to the livery. You can save and load AI selections. AI – Various improvements to AI behavior when navigating through slower traffic in a multiclass event. Test Drive from the store now allows free choice of driving assists, and also allow access to the car setup. Default driving assists preset is now Amateur instead of Novice. Fixed a misalignment of the text in the position bar after cycling through the position bar styles. Fixed the multiplayer server list that wasn’t always updating even though new server information was available. Fixed a Driving Assist issue where disabling the factory traction control in-car setup had the result of enabling the artificial traction control. Fixed the wear/fuel multiplier ‘X4’ icon in the MP server list that was showing greyed out. Fixed a motion blur issue with a triple screen when the vehicle was moving backward. Porsche Cayman CS and MR: default car setup modified for better stability. Reduced the drop of downforce occurring when airflow isn’t directed straight on the rear wing (ie: when going sideways, rear wings are less efficient). / Smoothed out the upshifts to closer replicate the PDK gearbox. / Improved AI behavior all around. Callaway C7R: Car was bottoming out a lot at turns like Eau Rouge, so moved the splitter feeler up a bit, increased high speed bumping, allowed another 5mm of ride height adjustment on the front.